Raccoons look innocent, even cute. Their distinctive black mask-like coloring is not found on any other mammal, so homeowners are sometimes tempted to leave them alone. Although you should never try to trap or kill a raccoon on your own, you should not allow them to roam freely in your yard. Raccoon damage is a serious matter for homeowners as well as business owners, as Critter Control staff members can attest. Raccoons, especially males, often enter human yards or homes because they are hungry. If food sources are scarce, raccoon damage can include foraging in dumpsters and trashcans. In fact, some raccoons have learned to live exclusively on human garbage because it’s the most common food source in their area. Raccoon feces, urine, and fur can easily contaminate dumpsters, as well as human and pet food supplies left in the open. Like all wild animals, raccoons carry parasites and diseases, including rabies. If provoked, a raccoon will bite a domesticated animal or human. If the raccoon is rabid and transmits the disease, treatment can be long, painful, and sometimes unsuccessful. Do not try to trap or corner raccoons on your property. Make sure all pets have rabies vaccinations. Pregnant raccoons are more likely to enter the home and cause raccoon damage than a male. Female raccoons will usually seek shelter in chimneys and crawlspaces. Both the mother and her litter can be trapped easily in these areas and die, leaving behind diseased corpses and animal odors. The raccoons may also gnaw on attic insulation, wiring, or chimney caps, leaving your home unsecured and soiled. Raccoon damage can extend to your yard and garden, as well. Raccoons dig and forage for food, compromising crops, flowers, and the structural integrity of your yard. This can also cause problems for your home’s foundation. 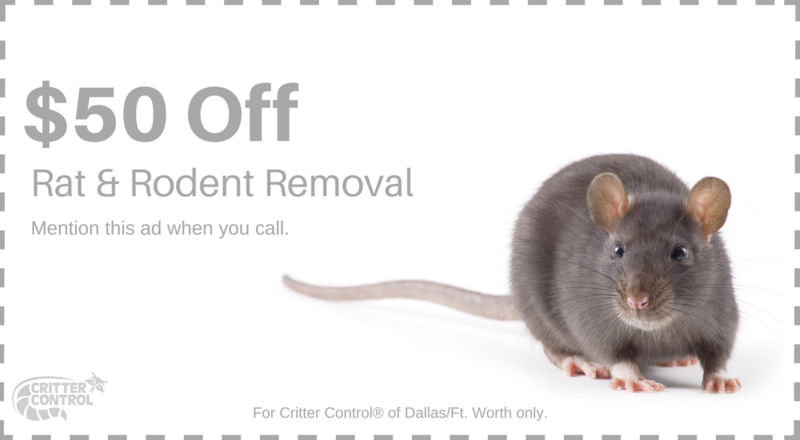 If you suspect a raccoon problem, call or contact Critter Control of Ft. Worth for removal and exclusion.